U.S. District Judge James Peterson sentenced Thomas Caldwell, who sold dozens of guns without a license on a controversial website, to about three years in prison. 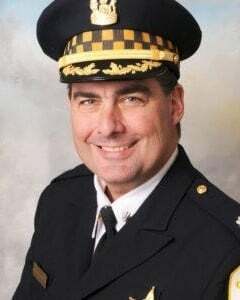 Chicago police Cmdr. Paul Bauer was fatally shot with one of the guns Caldwell sold. Caldwell, 68, had been warned by federal authorities to stop the illegal gun sales long before the so-called Baby Glock ended up in the hands of a four-time felon charged in Bauer’s slaying in February, reports the Chicago Tribune. Caldwell had pleaded guilty to selling firearms without a license. But the otherwise routine charge took on special significance after one of the many handguns he sold was connected to Bauer’s shocking daylight shooting in the heart of the Loop on Feb. 13. Shomari Legghette, a 45-year-old felon, is awaiting trial on first-degree murder and other charges in the killing.